The persons in the following list stood validly nominated and were duly elected without a contest. The county council along with BT have been working to improve broadband in this area. We are delighted to announce that engineering work has been completed and you are now able to place an order for a fibre to the premise (FTTP) service. FTTP is the most up to date broadband solution currently available and will be capable of delivering speeds of up to 330 Mbps. Because this type of broadband is so new, ordering an FTTP service is slightly different. ACT NOW - YOUR SERVICE WILL NOT BE UPGRADED AUTOMATICALLY. Please see our step-by-step guide below for details on how to upgrade. Step 1 Find the best deal. Because FTTP is still a relatively new technology not all internet service providers (ISPs) currently offer a package, so you may need to consider changing your provider. Take some time to explore your options, get quotes and choose the right deal for you. Take a look below at a table of ISPs that offer a FTTP service in Nottinghamshire, this is a good place to start gathering quotes, but bear in mind this list may not be exhaustive and as the market grows the list will grow too. Step 2 Survey. When placing an order, your chosen ISP will provide you with a date for an engineer to visit and carry out tests or even a survey, should one be necessary. In some cases, additional works may be required to bring the fibre cable into your premises, you will need to discuss this with your service provider. Step 3 Engineer Visit. Following the survey, an engineer connects the fibre cable to a small box (approx. 15cm x 10cm x 3 cm) which will need to be fixed to the outside wall of your property. Step 4 Enjoy! Take advantage of the futureproof broadband with the best speeds currently available. 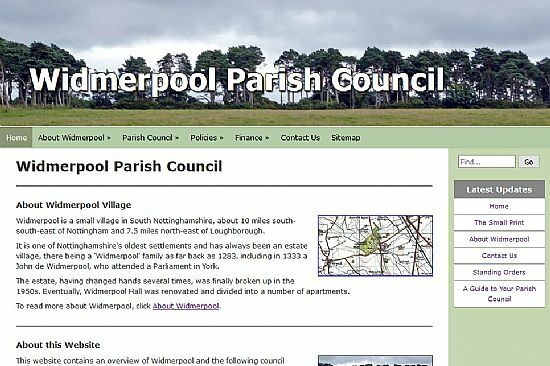 The next meeting of Widmerpool Parish Council will be held on Wednesday 1st May 2019. Widmerpool is a small village in South Nottinghamshire, about 10 miles south-south-east of Nottingham and 7.5 miles north-east of Loughborough. 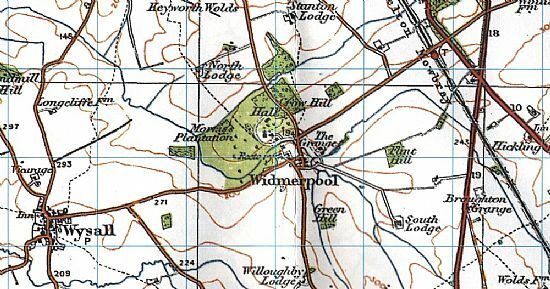 It is one of Nottinghamshire's oldest settlements and has always been an estate village, there being a 'Widmerpool' family as far back as 1283, including in 1333 a John de Widmerpool, who attended a Parliament in York. The estate, having changed hands several times, was finally broken up in the 1950s. Eventually, Widmerpool Hall was renovated and divided into a number of apartments. 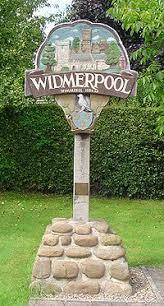 To read more about Widmerpool, click About Widmerpool. We welcome any photos of Widmerpool that we could add to the Photos of Widmerpool gallery to allow website visitors to see more of the village. 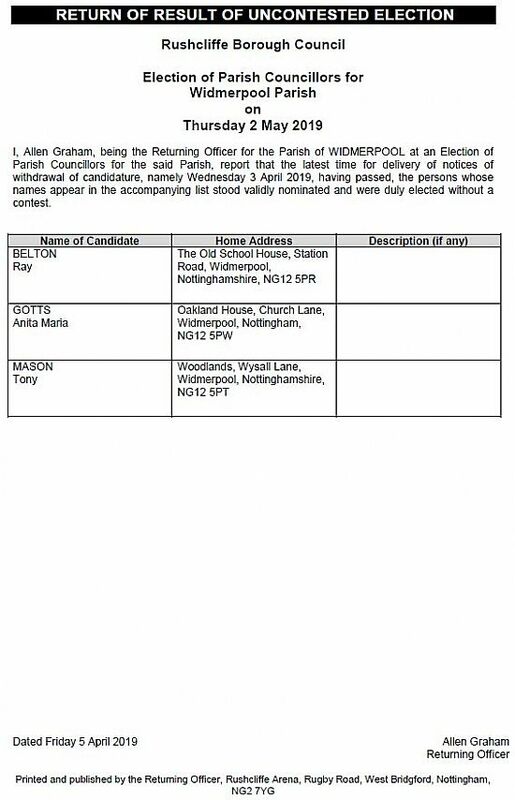 Please attach your photos to an email and send them to the Parish Clerk at: clerk@widmerpool.parish.email.